“Beth Macy writes about aging from the perspective of the 66 million caregivers experiencing it. She’s in the trenches as they make tough choices about housing and medical care, sticking with them to the final, bittersweet end. Judging from our readers’ reaction to her work, her stories caution and enlighten a nation grappling with the impact of millions of retiring baby boomers.” — Catherine DiBenedetto, Articles Editor at O, The Oprah Magazine. “Macy’s [work on PTSD] is admirable for many reasons. It’s seamlessly written, it’s rich in telling and heartbreaking detail, and it’s well-reported.” — Laurie Hertzel, Nieman Storyboard, Nieman Foundation for Journalism at Harvard; senior editor for books at the Star Tribune in Minneapolis. “With the national immigration debate as her springboard, reporter Beth Macy expertly hones in on Hispanic immigrants opening Mexican restaurants, working the fields, hanging drywall and filling classrooms in southwestern Virginia’s Roanoke Valley. She presents many faces and dimensions of a growing population that is still largely invisible in the United States yet bound – by relationships, remittances and dreams – to homelands far away.” — on “Land of Opportunity,” winner of Casey Medal for Meritorious Journalism. “Maybe we remember [Macy] as the reporter who last year waded into cholera, rioting and logistical nightmares in Haiti – a genuinely life-threatening situation – and came back to characterize it as “a nail-biter of a trip.” That trip also provided a reminder that her reporting work has nearly always championed the underdog and the downtrodden. And been carried out with an intimacy borne not only of strong, polished, insightful writing in every single piece, but also a sort of innate inability not to fall in love with her subjects. 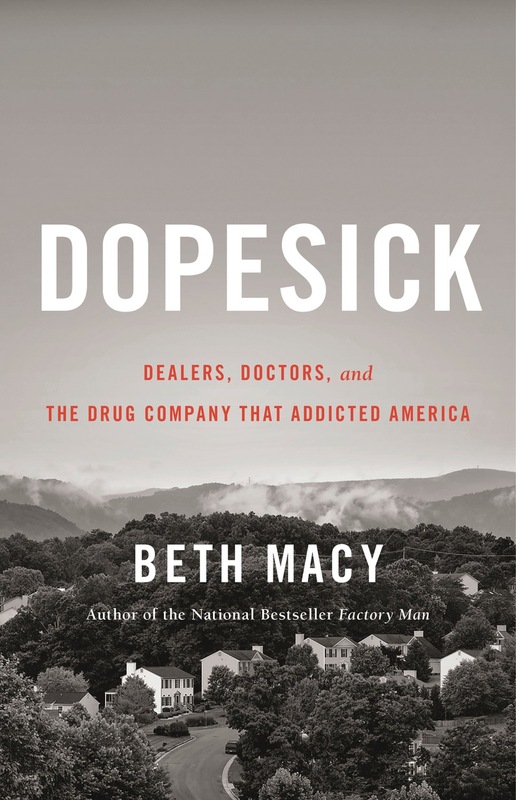 … It’s that feeling that sets Beth Macy’s work apart from most everybody else’s.” — Kurt Rheinheimer, author of “Little Criminals: Short Stories,” editor of The Roanoker magazine and Blue Ridge Country. “Beth Macy is a born storyteller with a nose for dirt and the biggest heart in journalism. She always puts people first, fleshing out the headlines to bring us news of the spirit as well as the day.” — Lee Smith, novelist and author of “Fair and Tender Lendies,” “Oral History” and “The Devil’s Dream,” among many other novels.